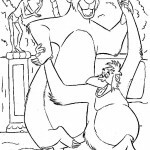 The Jungle Book is a 1967 American animated film produced by Disney Animation Studios. Released on October 18, 1967, it is the 19th animated feature in the Walt Disney Animated Classics series. It was inspired by the stories about the feral child Mowgli from the book of the same name by Rudyard Kipling. The movie contains a number of classic songs, including The Bare Necessities and I Wanna Be Like You. Most of the songs were written by Richard M. Sherman and Robert B. Sherman. Directed by Wolfgang Reitherman, it was the last to be produced by Walt Disney, who died during its production. The film grossed over $73 million in the United States in its first release, and as much again from two re-releases. Mowgli is found in a basket as a baby in the deep jungles of Madhya Pradesh, India. 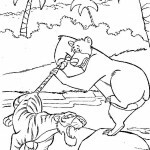 Bagheera, the black panther who discovers the boy, promptly takes him to an Indian Wolf who has just had cubs. 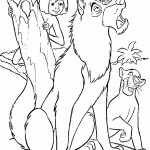 She raises him along with her own cubs and Mowgli soon becomes well acquainted with jungle life. Mowgli is shown ten years later, visiting the wolves and getting his face licked eagerly when he arrives. That night, when the wolf tribe learns that Shere Khan, a man-eating bengal tiger, has returned to the jungle, they realize that Mowgli must be taken to the man village to protect him and those around him. 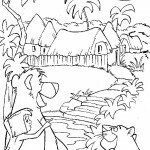 They leave that very night, but Mowgli is reluctant to leave and is determined to stay in the jungle and so both he and Bagheera settle down in a tree. 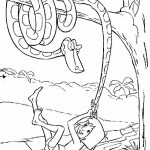 Unknown to Bagheera however, Mowgli is met by Kaa, a hungry Indian Python who hypnotizes Mowgli and prepares to eat him. Bagheera realizes this and stops the snake just in time, but angers Kaa into hypnotizing him as well. 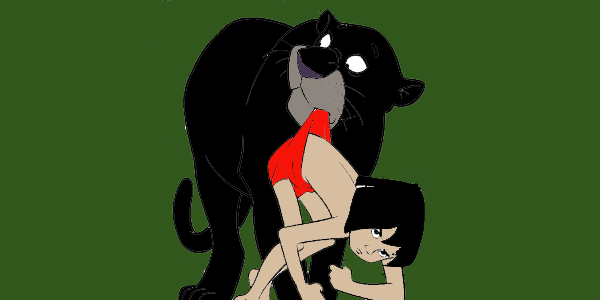 Luckily, Mowgli was snapped out of his trance when Bagheera intervened and pushes Kaa out of the tree, causing the snake to retreat vowing vengeance. 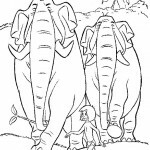 The next morning, Mowgli tries to join the Indian elephant Dawn Patrol led by Hathi and his wife. 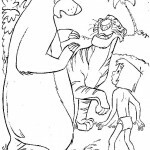 Bagheera finds Mowgli and they argue which results in Bagheera leaving Mowgli on his own. The boy soon meets up with the fun-loving bear Baloo, who shows Mowgli the fun of having a care-free life and promises to raise Mowgli himself and never take him back to the Man-Village.